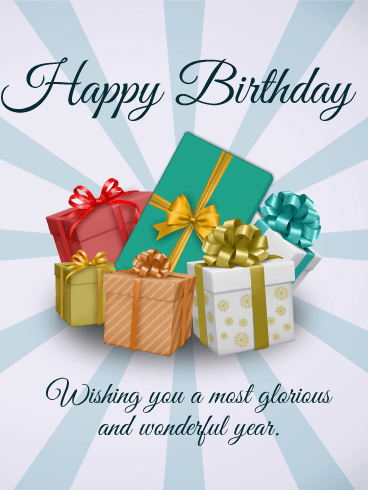 Send birthday wishes with this exciting card that is designed with a variety of colorful birthday gift boxes. 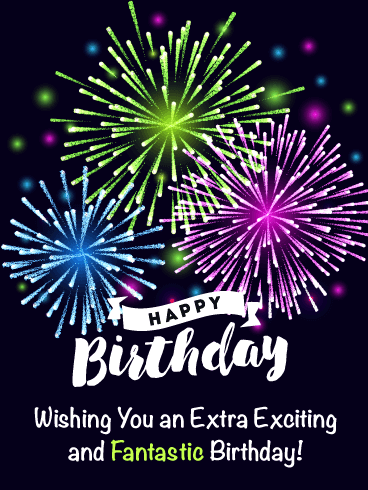 Just like opening a present, this card will bring excitement to birthday person! 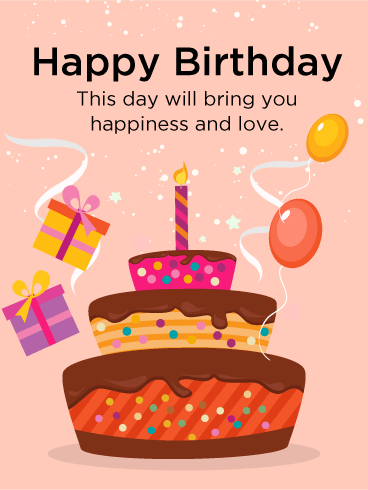 You can make them feel special by sending this great card. Happy Birthday - Wishing you more glorious and wonderful year. We all love birthday parties. That's why everyone will love this birthday party card. All the birthday party items, such as gift boxes and balloons, make the party more exciting and fun! 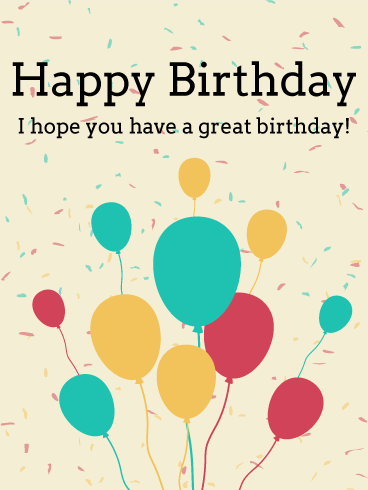 Let's send this card to celebrate the special day that only comes once a year! Everyone loves a warm birthday party. Birthday gifts, balloons and flags are waiting for the birthday person to come. If you are looking for a warm birthday party card, this card is what you need. Surprise! Everyone loves surprise birthday gifts! 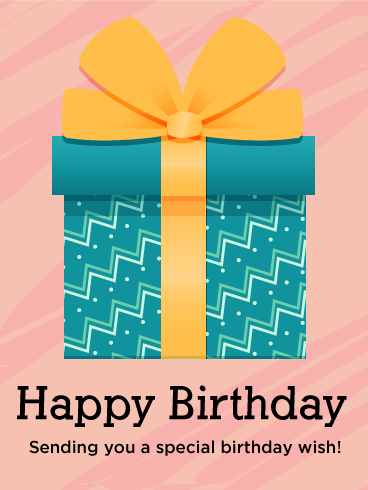 This card’s theme is a surprise birthday gift! 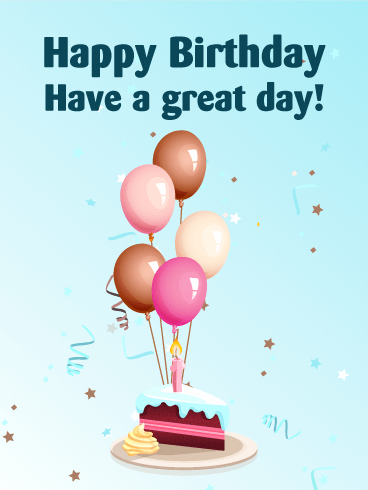 Please add your surprise message and send this card! 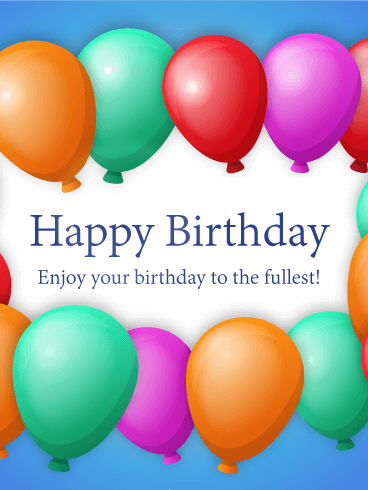 If you are looking for a warm birthday balloon card, this is what you should choose. It is just right for someone who wants a warm and happy birthday party. 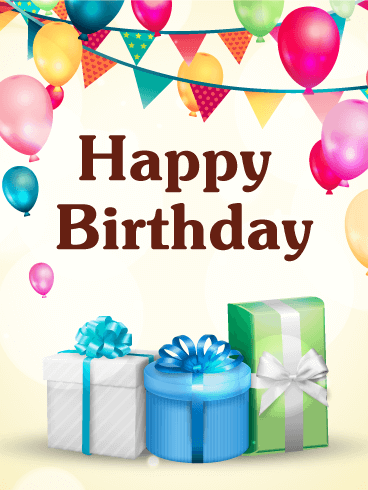 Send this happy birthday message to your loved one. Have you ever gotten birthday balloons? It's so nice, isn't it? Balloons are one of the necessary items on any birthday parties. 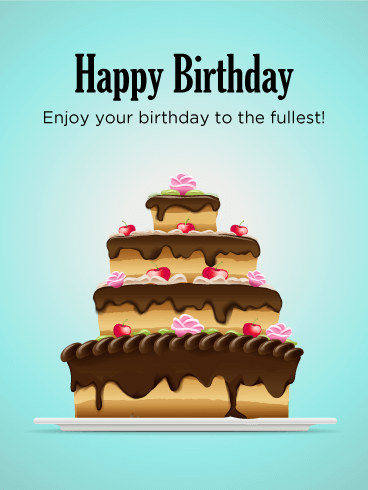 This card illustrates birthday balloons with a birthday cake. Why does it need to have a birthday cake? Because it is also an important item to celebrate a birthday! Send this card and please imagine the smiling face of your loved one. 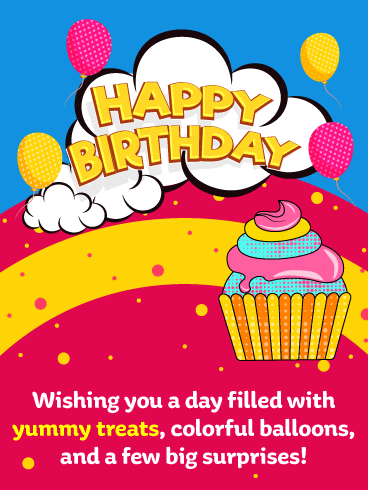 This colorful birthday balloon card creates a happy and bright feeling for the birthday person. 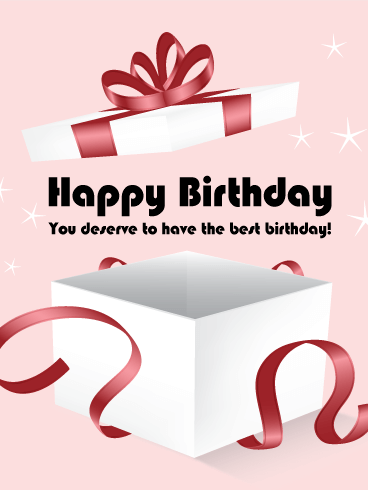 If you want to make the birthday person happy, send them this card and they will truly enjoy their birthday! Happy Birthday! It's exciting to get a birthday present, isn't it? 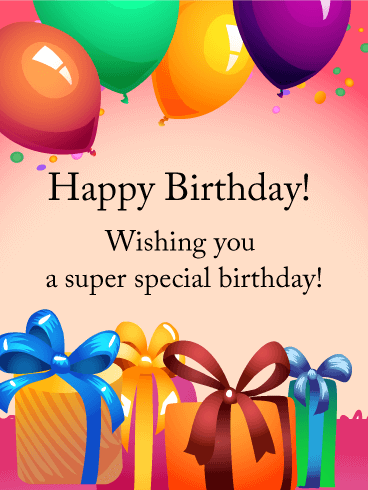 This card delivers a special birthday wish with the added excitement of receiving a birthday present. 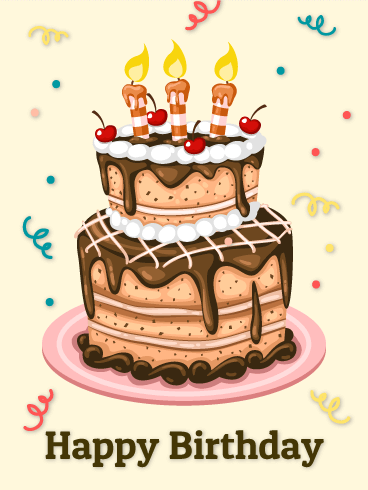 Add your own personal message to make their birthday even more special.